The Creator of the universe can be known through His creation. In his essay entitled “The Grand Miracle,” C.S. Lewis reveals important parallels between the Incarnation and the natural world. The moment Christ took on flesh, he allowed us to see the deep connection He has with human nature and the world He created. Lewis then goes on to expound upon this major parallel between the Incarnation and nature, namely, descent and resurrection. Lewis explains that the story of the Incarnation is a story of descent and resurrection. A descent because Christ descends to us, or as Lewis puts it, “The coming down not only into humanity, but into those nine months which precede human birth.” But he points out that a rising often follows a descent. Lewis gives the example of a swimmer diving into deep waters and, after a journey through mud, slime, and loss of breath, the swimmer emerges carrying the dripping object that he risked his life for. In our story, the diver is Christ, and the thing he went looking for in the depths of the water is human nature. Christ emerges from the water carrying a human nature that is no longer in the ditches and darkness but is now saved and made new. The analogy of death and resurrection fits so well that it may seem that the principles of nature are there to explain Christianity. For how is it that built in the natural world things must die in order to bear new life or how is it that ore-Christian pagan literature represents dying gods that embody Christ figures? The workings of the natural world and the nature religions are only the way they are because they were first that way in God himself before all space and time. To summarize, we can discover the ways our Creator works by observing how his creation works. By taking on flesh Christ deepened our understanding of the relationship between the natural world and the Divine. By studying the workings of the natural world and our human nature we can gain insights into the way God operates. C.S. Lewis draws out this descent and resurrection parallel between nature and Christianity. The parallel is ultimately revealed through the Grand Miracle, that is, the day the Word became Incarnate and allowed a full connection between Himself and His created world. We celebrate that day today. 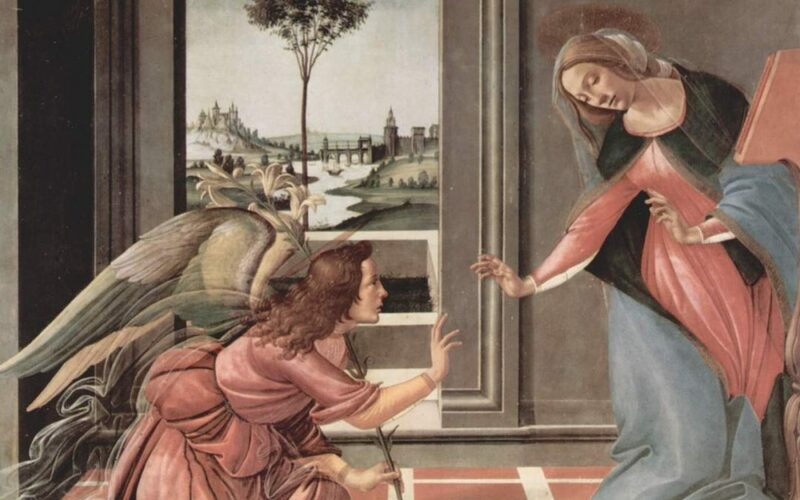 Blessed feast of the Annunciation – March 25, 2019.